MoMax & MaxSwell have created all natural organic personal care products for the whole family. All our products are high quality and affordable while maintaining a strong sense of social responsibility and providing direct support to our chosen causes. Donate a Behind the Blue pack! When 8 year-old Maxwell Lanfrank was visiting his aunt, she told him all about the wonders of aloe and sent him home with his very own plant. Maxwell shared this with his grandmother and asked what he could make using his newfound knowledge. They put their heads together and decided to make a products that Maxwell is obsessed with and everyone could use! 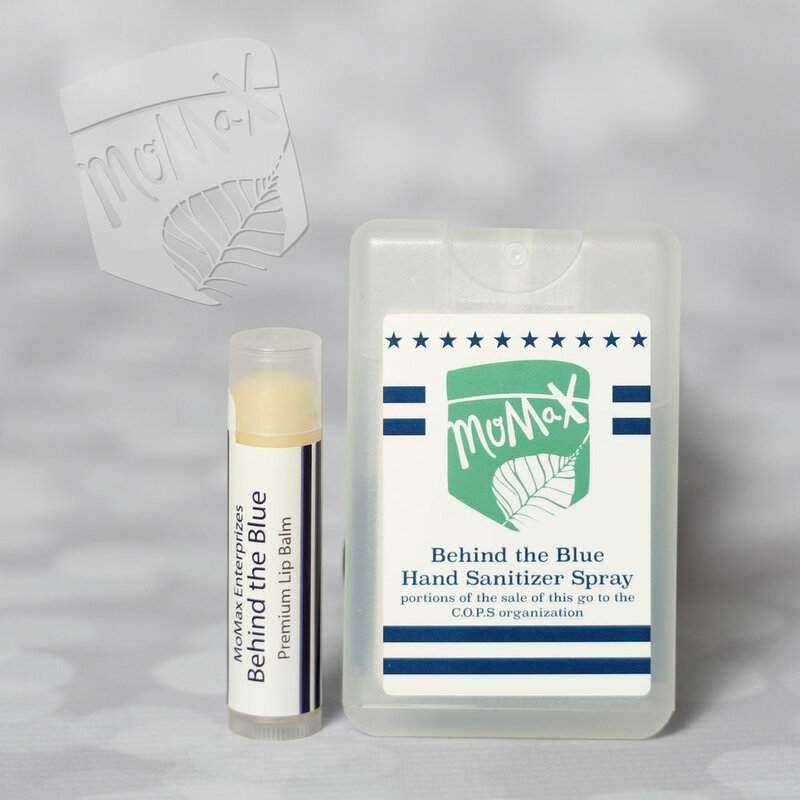 Combining the benefits of the healing aloe plant with other elements and oils that Maxwell likes, Momax hand sanitizers were born and other products quickly followed suit. Maxwell develops safe and all-natural products around the things he cares about: playing outside with his family and supporting those who keep them safe. MoMax and Maxswell now include great products for surf, swim, sun and soon pets too! Follow Maxwell on Facebook and Instagram for new product launches and other event information!